The CHF is a strong Currency but getting weaker lately with a Score of 4,66. The GBP is classified as an average currency and having currently a score of 4,5. 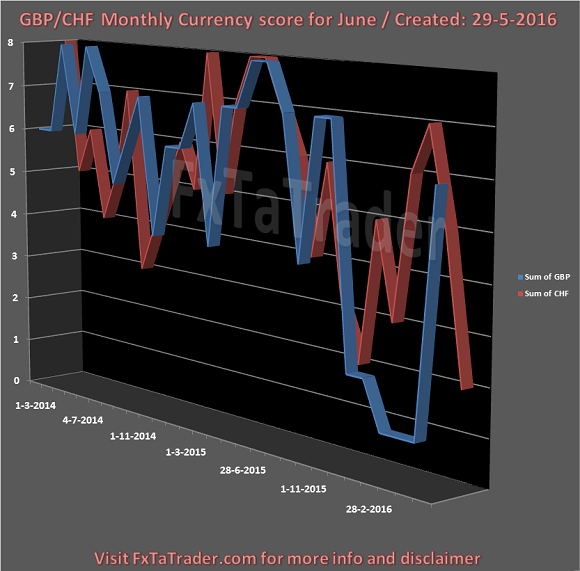 It is getting close to the CHF and in the last 12 months each were an equal amount of 6 months being stronger. Last month was clearly a winner for the GBP, see for more information the chart here below. These currencies may switch places in the classification in the coming period. USD, JPY and the GBP. GBP, CAD and the CHF. AUD/CAD, AUD/JPY, AUD/NZD, CHF/JPY, EUR/AUD and the USD/CHF. AUD/JPY, CHF/JPY and the USD/CHF. Only the EUR/AUD is not mentioned as "Approved" pair in the "Currency Comparison Table". 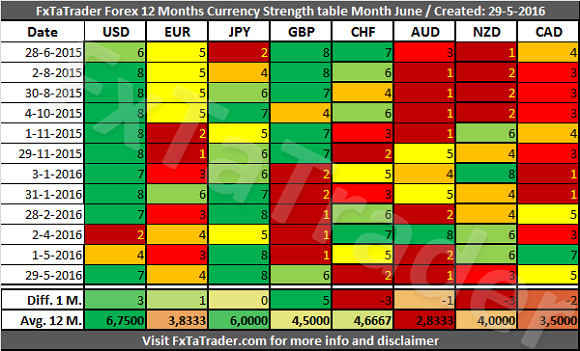 The AUD/CAD, AUD/NZD, EUR/AUD are not mentioned in the Top 10 of the Ranking and Rating list. According to the crossed join here above only the following pairs remain interesting: AUD/JPY, CHF/JPY and the USD/CHF. 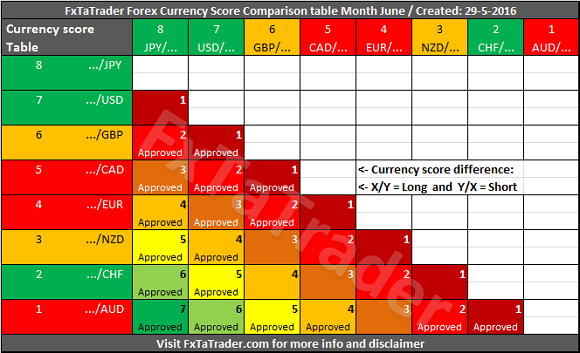 However, when comparing with the "Currency Comparison Table" it may offer more possilbities, like e.g. the GBP/AUD.